10 – The cost and who can participate. This special tour is designed for families, so it is good for kids that are at least around age 4 or older, as well as adults. The cost for the event is $39 per person, plus each person must have valid theme park admission in order to enter the park. 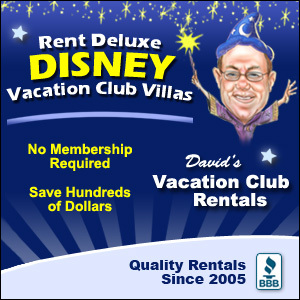 You can usually get a discount on the cost of the tour if you are a Disney Vacation Club Member, Walt Disney World Annual Passholder or have a Disney Visa. The tour is also typically only offered once per day on select days. 9 – How long is the tour? The tour is around 2 to 2.5 hours depending on crowds and how long some of the activities take to complete. 8 – Come prepared to walk. The tour will involve a lot of walking, so guests will want to wear comfortable shoes and clothes to ensure that they can withstand all of the walking. If walking for a couple hours is too strenuous for any of the members of your party, they may not enjoy this particular tour. 7 – The premise for the tour. The premise for this particular tour is a fun one. The cast member tour guide tells the guests that they were going to walk through Liberty Square to learn more about the founding fathers but Disney villains stole a bunch of times that Disney needs help finding. 6 – The flow of the tour. Guests (kids and adults) will participate in games and activities in order to obtain clues for their next location or activity in order to retrieve the lost items. 5 – Do you get to ride any rides? Yes! You get to go right through the FastPass+ line at some of the attractions while on your tour. The rides may vary, but you could find yourself able to ride The Many Adventure of Winnie the Pooh, Mad Tea Party and/or Under the Seas – Journey of the Little Mermaid as part of the tour. The attractions that you get to ride may vary. 4 – Do you get meet any characters? Yes! You actually get to meet up with Peter Pan during the attraction. He helps to find one of the items and you get to take pictures and interact with him for a little bit during the experience. Also, at the end of the tour the items are requested to be returned to Mickey, so the tour guests get the opportunity to take pictures with Mickey and interact with him, too! 3 – What to do when you arrive. You will want to arrive at least 15 minutes prior to your scheduled tour time. When you arrive, you will check in at the Town Square Theater located on Main Street U.S.A. Once you check in you will get everything you need to get ready for the tour to begin. You will want to make sure to use the restroom before the tour so you won’t miss any of the tour later. 2 – How to book or cancel. 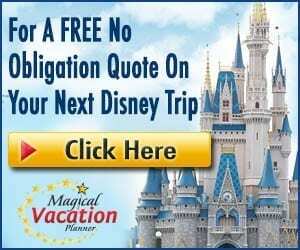 You can book the Family Magic Tour by calling (407) WDW-TOUR. You will need to be prepared to pay the full cost of the reservation at the time of booking. You are able to cancel more than 2 days in advance for a refund, but if you don’t show up or cancel after that window you will forfeit the cost of the reservation. 1 – Is the tour worth the value? Yes and no. The tour is worth the value if you are a returning visitor and it isn’t your first trip to Walt Disney World. This tour is an amazing way to explore Magic Kingdom Park in a completely different way than you have previously. 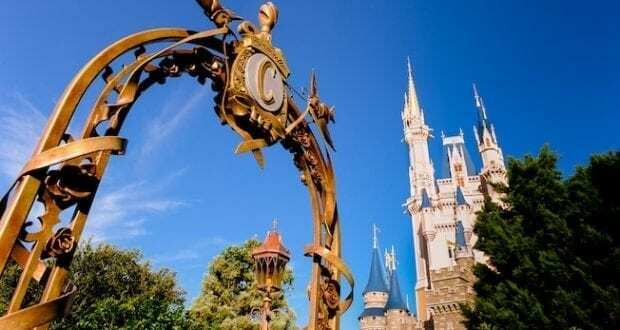 If it is a first visit to Magic Kingdom, it is probably better to spend that time experiencing more of the attractions for the first time and exploring the park for the first time away from the tour. Guests may not see the value if they have never been to Magic Kingdom before.